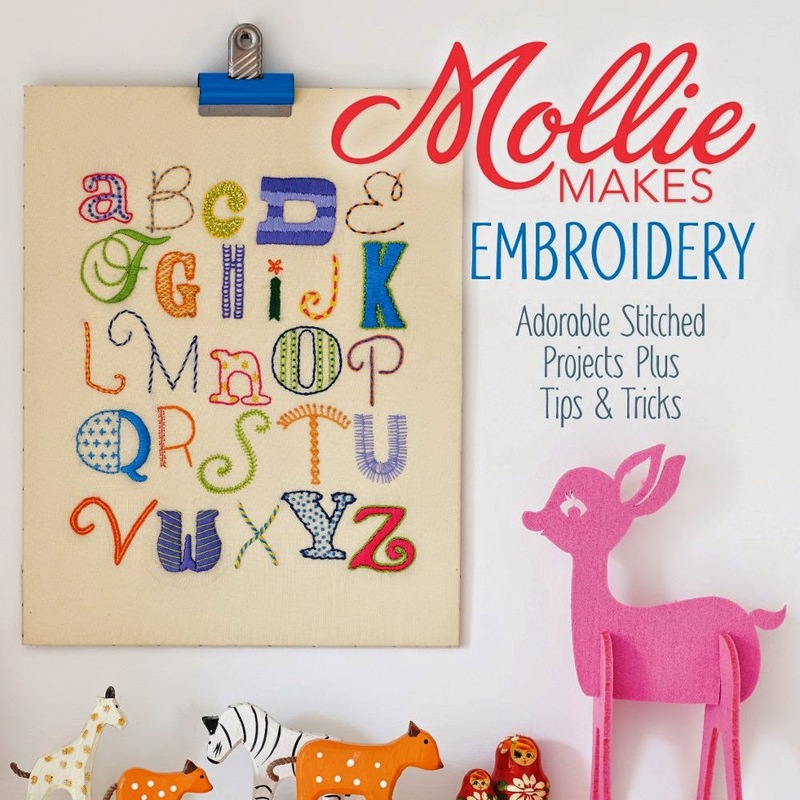 I've seen Mollie Makes Embroidery popping up all over the internet lately, so I was extra excited to review a copy for PMQG! This book contains projects from many different fiber artists, including Alyssa Thomas. The first half has projects, many based on nature, animals, or geometric designs, and the second half is all about technique. 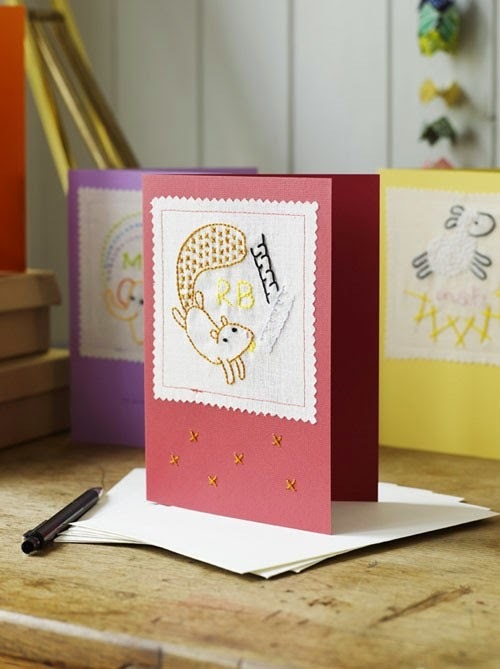 Some of my favorite projects from the first half of the book are the animals, particularly the whimsical Polar Bear and Owl with Umbrellas and the Mama and Baby Owl projects. 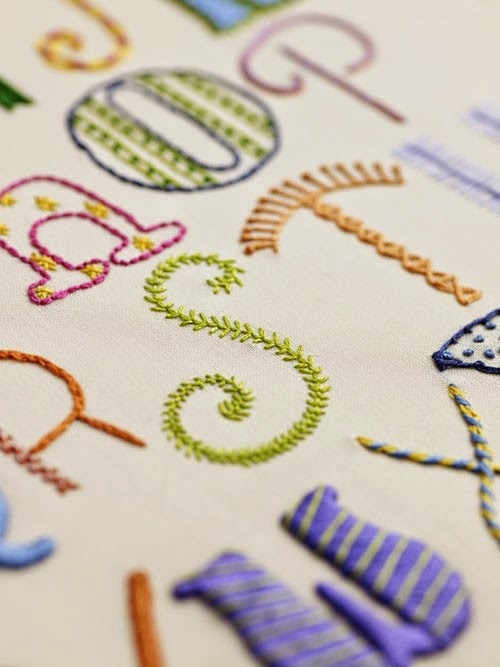 The variety of stitches and colors used in the various projects are very inspiring and make you want to go grab a needle and floss and get started! The technique section covers all of the basic stitches with really clear pictures and diagrams. 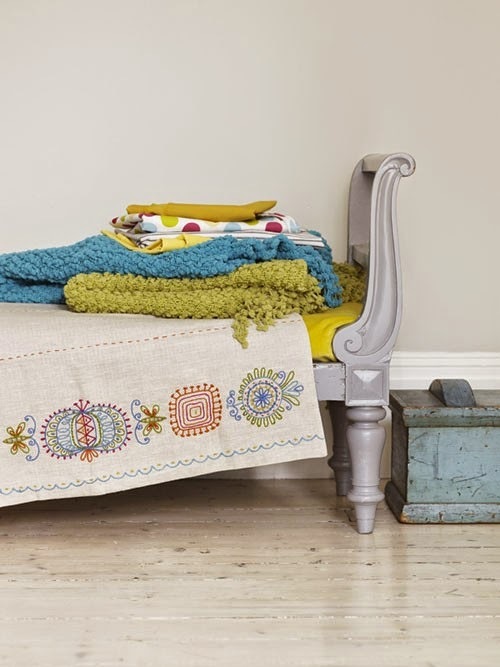 There are also sections on Crewelwork Embroidery (stitched with wool thread), Silk Ribbon Embroidery, Counted Cross Stitch, Canvaswork, Bargello, and Free Motion Embroidery. As quilters, we may have a special interest in the last two. I had only heard of Bargello quilting before, but the Bargello Embroidery in Mollie Makes Embroidery is quite striking and beautiful! One thing I really appreciate about this book is the suggestions for the completed project. So often I finish an embroidery project and am not sure what to do with. I usually resort to hanging it on the wall or leaving it to languish forever in a drawer. 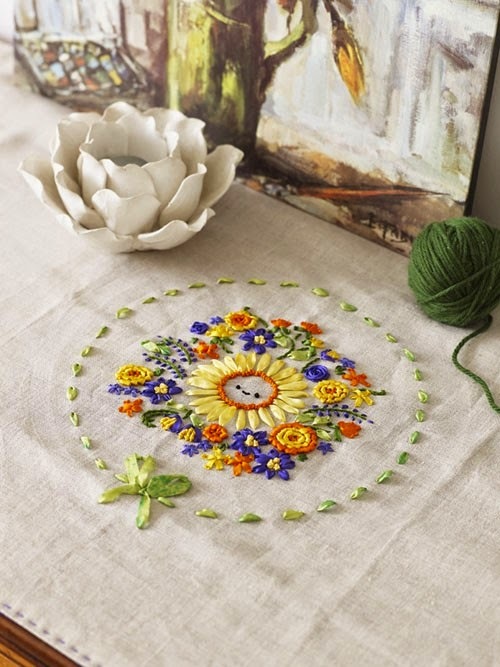 Although various framed embroidery art is featured in this book, there are also projects for a runner, pillow, throw blanket, tea cozy, greeting cards, and even a phone case, among others! 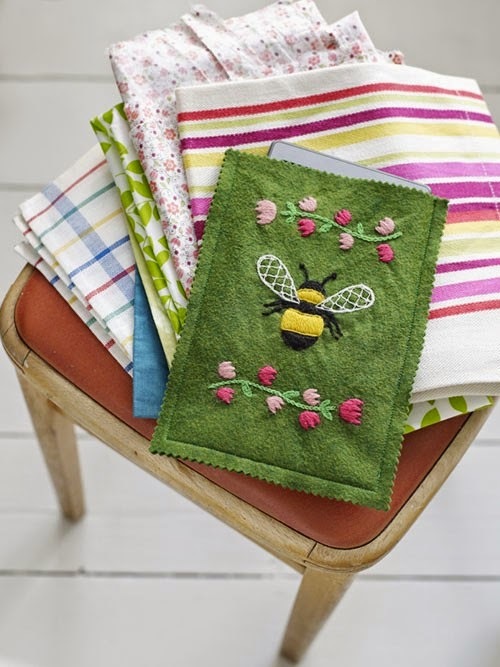 I will definitely have to purchase a copy of Mollie Makes Embroidery for my own craft book library, because we'll be giving away this copy at our PMQG meeting tonight! All members will have a chance to win in the door prize drawing! "Mollie Makes is a lifestyle and craft magazine for those who live and love handmade.Mollie Makes brings readers the best of craft online, a look inside the homes of the world’s most creative crafters, tutorials on inspiring makes, round ups of the most covetable stash and tours of the crafty capitals of the world. 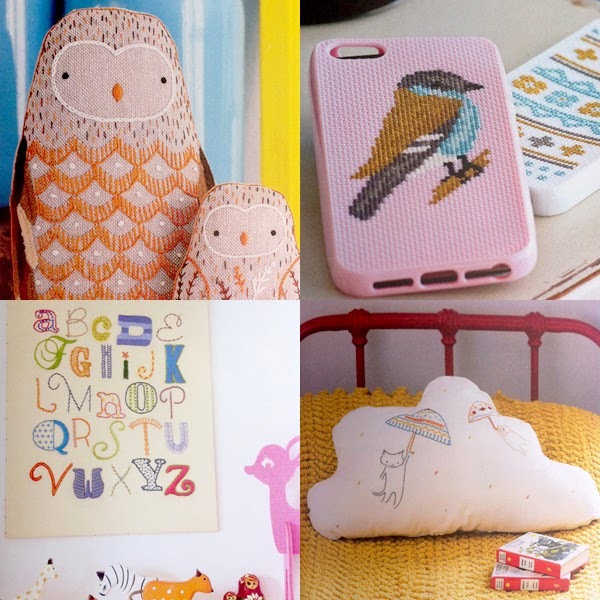 For more information on Mollie Makes, please visit MollieMakes.com."